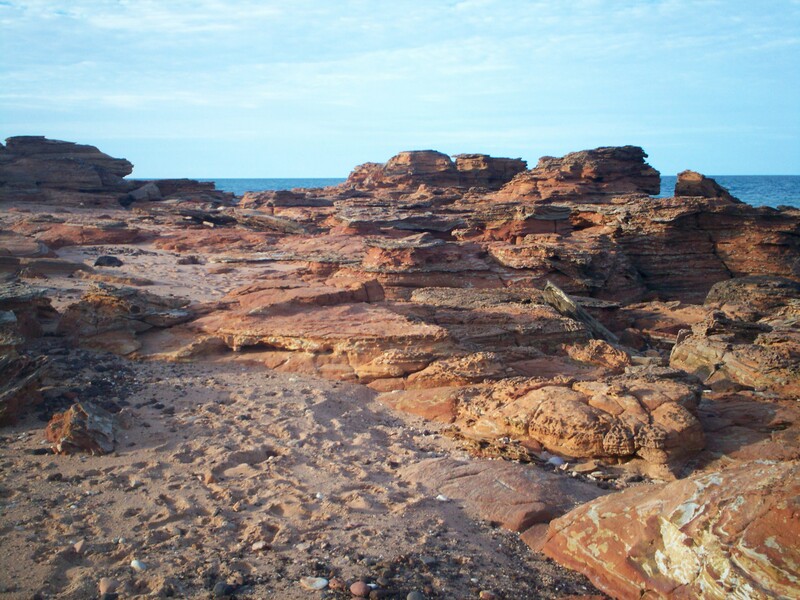 A comprehensive new paper from the Dr Steve Salisbury team of Paleontologists, of the many dinosaur trackways that inhabit Broome’s coastline, covered and then uncovered by sand washed by very big tides and cyclones. FIGURE 14. Examples of associated sedimentary structures within the Broome Sandstone in the Yanijarri–Lurujarri section of the Dampier Peninsula, Western Australia. A, ladderback ripples within outcrop of LFA-1, with two near subequal directions; B, interference ripples within outcrop of LFA-1, with one strong direction and two minor orientations; C, water escape structure (WES) in LFA-2 at UQL-DP9; D, Goolarabooloo Maja Richard Hunter alongside the topotype right pedal track of Walmadanyichnus hunteri (UQL-DP11-5) and a large water escape structure that perforates the uppermost part of LFA-1 and the track horizon of LFA-2. Numerous other W. hunteri tracks occur on this platform close to the raised water escape structure. A really good read for anyone with an interest in the topic. More from the University of Queensland News. 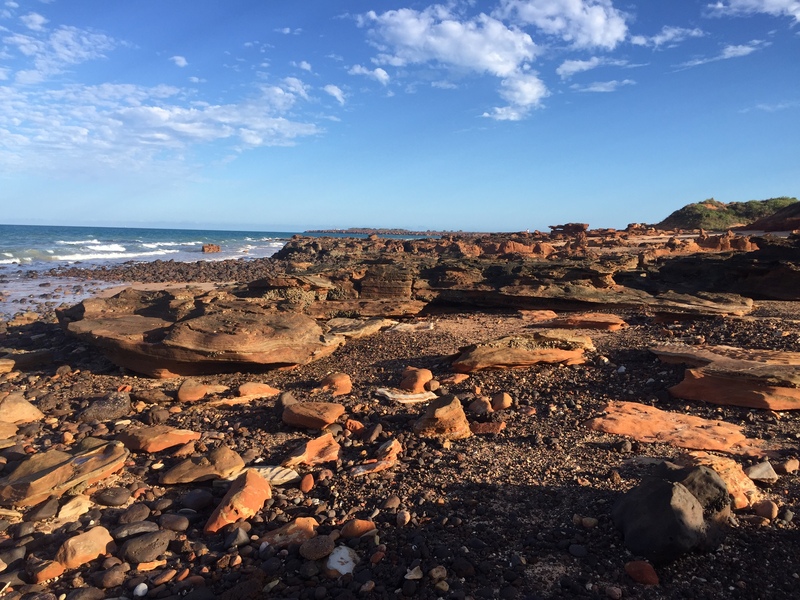 This entry was posted in Broome/Kimberley, Environment, photography, science, technology and tagged Broome, dinosaur footprints, Dr Steve Salisbury, environment, kimberley region, science, science and technology. Bookmark the permalink.